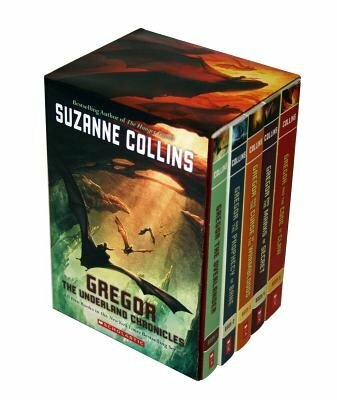 The complete box set of all five books in the New York Times bestselling series The Underland Chronicles, from the author of The Hunger Games. When Gregor follows his little sister through a grate in the laundry room of their New York apartment building, he hurtles into the dark Underland beneath the city. There, a conflict is brewing between the humans and the giant creatures that live below. Gregor must find his place in the frightening prophecies he encounters, the strength to protect his family, and the courage to stand up against an army of giant rats.